Trump: "The OPEC Monopoly Must Get Prices Down Now!" 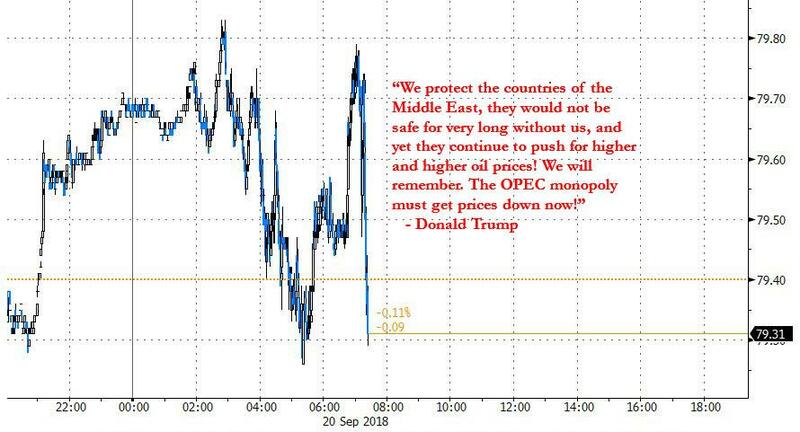 ... Trump was at it again and on Thursday morning, the president lashed out at OPEC, saying that the US protects the countries of the Middle East, and warning these nations that "they would not be safe for very long without us, and yet they continue to push for higher and higher oil prices! We will remember." His message: "The OPEC monopoly must get prices down now!" In response, Brent crude, which had traded as high as 0.5% earlier, erased session gains and slumped 0.1% in the red. And while OPEC and allies are scheduled to meet in Algiers this weekend to discuss the oil market and their production levels, Reuters reported that OPEC is unlikely to agree to further official increases in oil output, which means more angry tweets from Trump will be forthcoming. 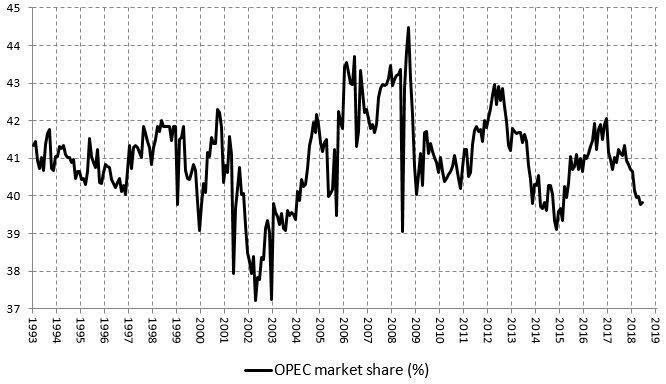 Meanwhile, as some have pointed out, with OPEC's market share below 40%, perhaps Trump should target other oil market members.